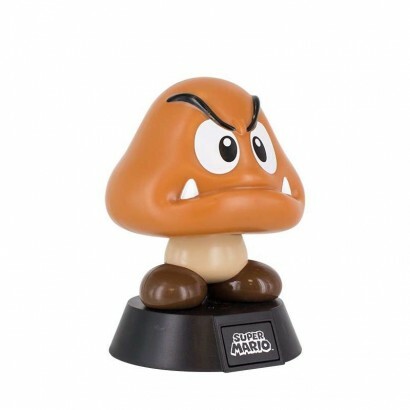 A well known and much loved bad guy straight from the iconic Super Mario Bros games, the surly Goomba mushroom is the most common villain in the games, easily beaten with a single stomp! 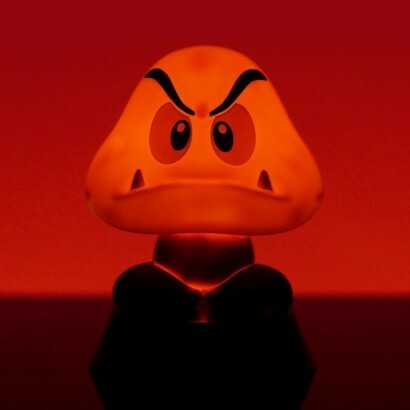 Pay homage to the angry little bad guy with this playful Goomba light and illuminate your space with a soft glow that's at odds with the bad tempered mushroom's appearance. 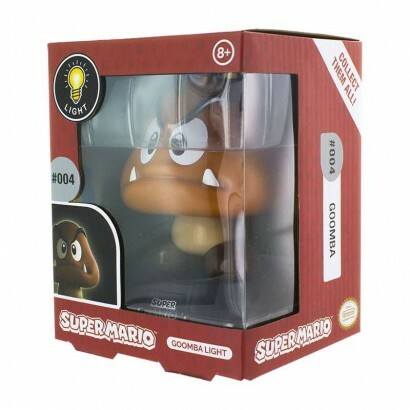 Battery operated and lit with white LEDs, this mini light is fully portable and remains cool to the touch making it ideal for gaming fans of all ages.